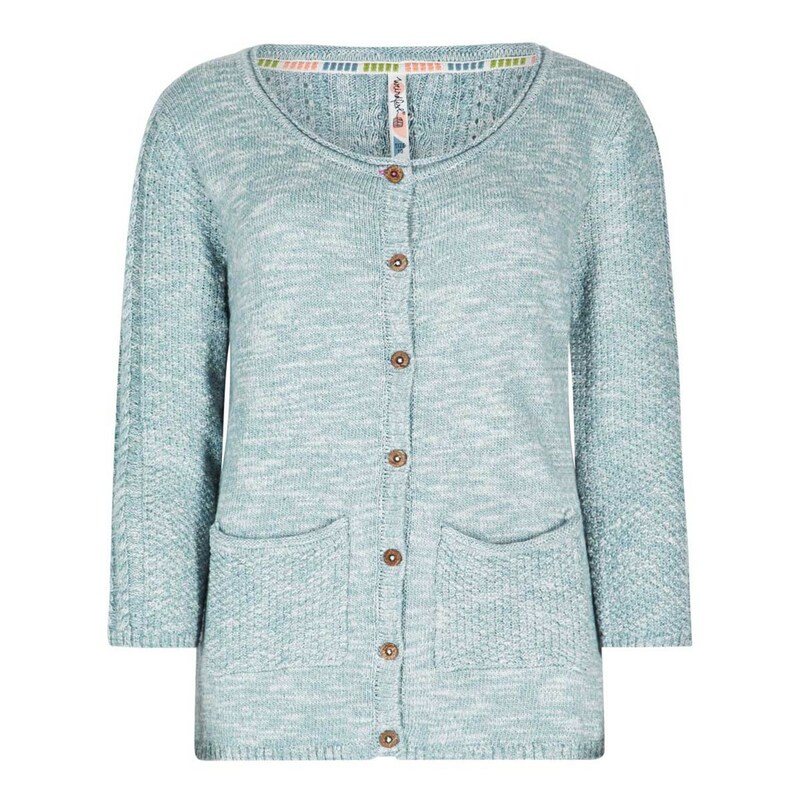 Complete your favourite outfit this season with our Elisa 3/4 sleeve marled cable outfitter cardigan for a timeless, classic look. 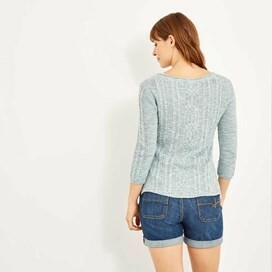 With a pretty cable knit pattern down the centre back and a fancy cable with ribs along the centre of the 3/4 sleeves combined with a plain jersey knit front the Elisa is warm and cosy and particularly comfortable. Whether you’re spending time at the coast, your favourite countryside retreat or are simply walking the dog at the end of a long day at work do so in the soft, warm Elisa and look relaxed and stylish while shielding yourself from the cooler air. Good fit, a pale mint shade that goes with most things. Well made cardigan and feel great. Will wear it later when weather cools. Beautiful, a lovely design, a good fit. Soft fabric and perfect sleeve length. Pockets finish off an excellent garment. Size 12 fits me fine I am a borderline 12/14 so a happy bunny I got it in the sale and 14 was out of stock. 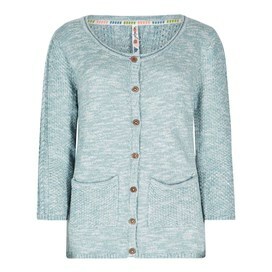 Nice weight cardie for a summer evening that cools down.